Tennessee’s electric cooperatives are closely monitoring a significant winter storm that will likely create power outages across West and Middle Tennessee this weekend. 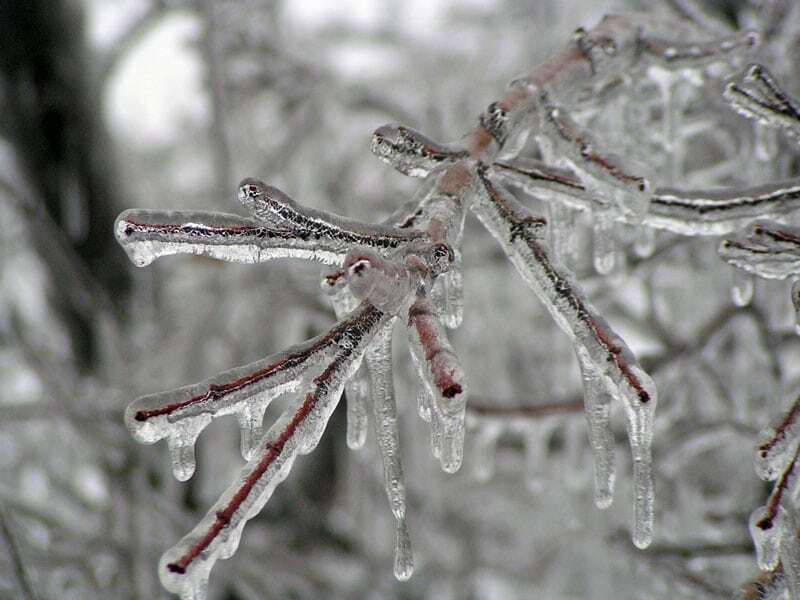 Ice can create widespread damage to trees and power lines. Ice can increase the weight of branches by 30 times, and 1/2″ accumulation on power lines can add 500 pounds of extra weight. When ice is combined with high winds, as predicted for the next few days, the weight of ice and falling trees can damage poles and power lines. Tennessee’s electric cooperatives have been busy this past week preparing for the upcoming ice storm. Preparations have included positioning personnel and equipment, checking supplies and reviewing emergency work plans. TECA staff has been in regular contact with the National Weather Service and emergency management personnel. Arrangements are also in place to bring in additional crews, if needed, from electric cooperatives in neighboring states. Developed by Sid Sperry with the Oklahoma Association of Electric Cooperatives and Steve Piltz with the National Weather Service, the SPIA Index can predict the projected footprint, total ice accumulation, and resulting potential damage from approaching ice storms. It is a tool to be used for risk management and/or winter weather preparedness. You can learn more about the SPIA in this Weather Channel video. View the latest SPIA index for the Memphis and Nashville regions. How should your family prepare? Never touch a fallen power line, and assume all wires on the ground are electrically charged. Call your local electric co-op to report it immediately. Avoid contact with overhead lines during cleanup and other activities. In the event of an outage, an alternate heating source—such as a fireplace, propane space heater, or wood stove—may be used. Extreme caution should be taken. Plan to stay in an area of the home where the alternate heat source is located. Fuel- and wood-buring heating sources should be vented. Be sure to follow manufacturer’s directions. Make sure carbon monoxide detectors and smoke detectors are working properly. Do not use a gas-powered oven for heating. A gas oven may go out or burn inefficiently, leading to carbon monoxide poisoning. Do not use a gas or charcoal grill inside the home. Do not use charcoal briquettes in the fireplace. If you use a portable generator to power a heating source, be sure the generator is located outside your house for proper ventilation. Do not use a generator in an attached garage. Follow manufacturer’s directions for operating the generator. Take special care not to overload a generator. Use appropriately sized extension cords to carry the electric load. Make sure the cords have a grounded, three-pronged plug and are in good condition. Never run cords under rugs or carpets. Never connect generators to power lines. The reverse flow of electricity can electrocute an unsuspecting utility worker. Ideally, your family will stay warm until the power comes back on. But keep an eye on family members for signs of hypothermia, which include shivering, drowsiness, and mental and physical slowness. The elderly and young children are particularly vulnerable to hypothermia. Call 911 immediately if you notice these symptoms. At least one telephone in the house that does not depend on electricity should be available in the case of a power outage. Video courtesy of our friends at PowerSouth Energy Cooperative.